Welcome back. It may seem odd for someone who doesn’t eat candy to have devoted three blog posts to chocolate. There were extenuating circumstances. The first blog post, Chocolate for Health, was, as advertised, one of my many posts on health in addition to affording me the opportunity to introduce cacao and processing thereof. The second, Chocolate Bars Addendum, was a history lesson of sorts. At the time, I was posting an addendum for every new blog topic and had to come up with something. The third chocolate post, Kisses Addendum, was another snippet of history, this one on Hershey KISSES. The post was an addendum to Valentine Kisses, which reviewed research on the oral microbiota associated with intimate kissing (click on the hotlink if you don’t believe me). Never could I have imagined preparing another blog post on chocolate. Then I came across a research study that left me no choice. My decision was buttressed when I later found media reports on the work that left so much unreported and, worse, wrongly credited survey results to the study. At the outset, I should correct the media errors. The study researchers, all from the Henry Ford Hospital in Detroit, mentioned but did not conduct the survey that found 59% of 28,113 respondents preferred to start with ears when eating chocolate bunnies, 33% had no starting point preference and 4% began with the tail or feet. The media may have given undue credit to the researchers because the first author is chair of otolaryngology (i.e., ear, nose and throat)--head and neck surgery, the second is a plastic and reconstructive surgeon and the third is a specialist in clinical psychology. Nevertheless, the study focus was on when not how as is clearly stated in the title of their paper, Seasonality of Auricular Amputations in Rabbits. The goal was to confirm the hypothesis that traumatic auricular amputations of confectionary rabbits increased during the spring. And they were successful, at least for the period studied, January 2012 to January 2017. 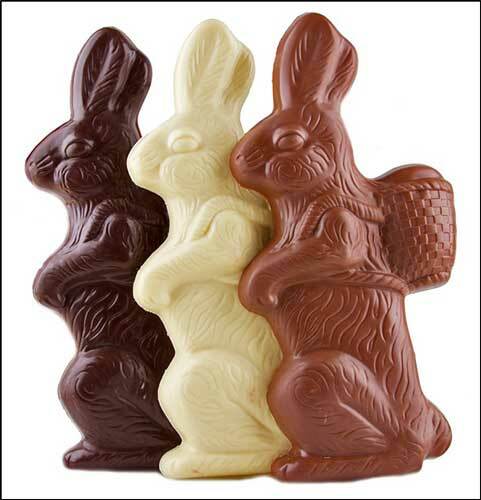 Through online search of reports and images using terms such as “chocolate,” “Easter bunny,” “rabbit,” “Easter,” “ears,” “amputation” and “bunny,” and by applying standard statistical mapping techniques, the researchers showed the incidence of rabbit auricular amputations did indeed peak in the spring each year, specifically, near Easter. Incidence of reports of rabbit auricular amputations, 2012-2016. Another limitation is that, being an observational, retrospective study, the work cannot fully explain the cause of the amputations or establish a causal relationship. Could it be, for example, that human predation is seasonal and that confectionary rabbits happen to be conveniently available in the spring? 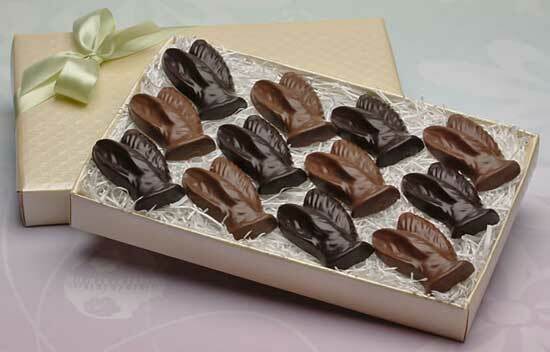 After all, some 90 million chocolate bunnies are produced each year, typically during the Easter season. Still another limitation is that the incidence of amputations may be underestimated due to underreporting. 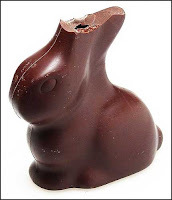 As one co-author is a plastic surgeon, the paper offers a detailed account of reconstructive options applicable whether the confectionary rabbit ear is molded in an upright or lop position and either in profile or front facing. The rabbit ear is similar to the human ear with a pinna, helix and scapha, and the appearance of symmetry is key for reconstruction. He recommends partial reconstruction when the defect is less than 10%, subtotal reconstruction when up to two-thirds of the ear has been amputated and total reconstruction if the amputation exceeds two-thirds. A donor rabbit transplant or prosthesis can be used. Anyone who doubts that science can be fun should read this paper, published as a “special article” in The Laryngoscope, a monthly peer-reviewed medical journal on otolaryngology that’s been around since 1896. Just don’t expect to see another blog post on chocolate from me. Thanks for stopping by.